Xbox One and Xbox 360 games both on the cheap over the annual weekend of retail madness. 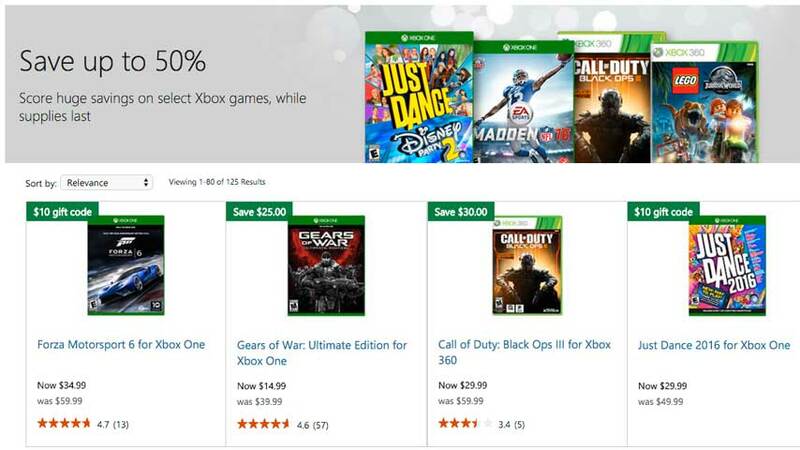 In addition to terrific Black Friday Xbox console and bundle deals, the Microsoft Store is heavily discounting both Xbox One and Xbox 360 games. The Xbox One deals are probably what floats your boat, so here are some of the best ones. A bunch of them include $10 gift codes, for some reason. Not complaining. This is really only the start of it; there’s a silly number of deals available. Visit the US Microsoft Store to profit from this generosity.